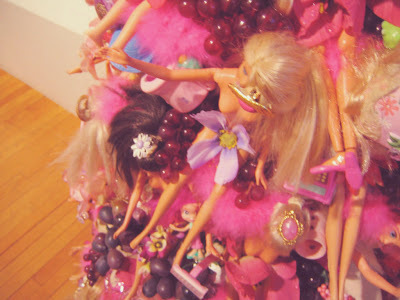 growing up, my sister kara & I were obsessed with barbies. kara had a huge wooden doll house in her room that our grandpa built. all the rooms were wallpapered a different theme & we would spend hours sitting in front of it, setting up different scenarios & clothing the barbies appropriately. there were complicated love triangles in the pink limousine, custody battles in the ice cream shop & rock concerts in the steam from our vaporizer. yes, we were imaginative (& perhaps watched too much 90210). in fact to this day, if kara is trying to describe someone I don't know to me, she'll say something like, "you know, he looks like our barbie allen (remember? married to julie with the quintuplets), but has the personality of steve (who got divorced from mary-with-no-legs who has that bratty step-kid, megan starr)". and instinctively, I understand. so obviously, no one can appreciate a barbie christmas tree like I can. robert & I spotted this one when we were visiting family in charlottesville, virginia a few christmases ago. isn't it fun? 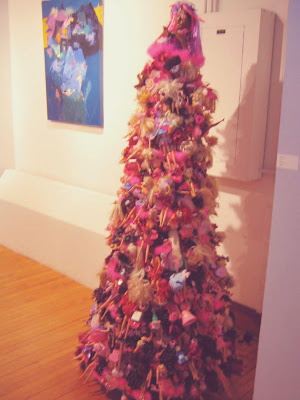 Oh my goodness-a BARBIE Christmas tree! 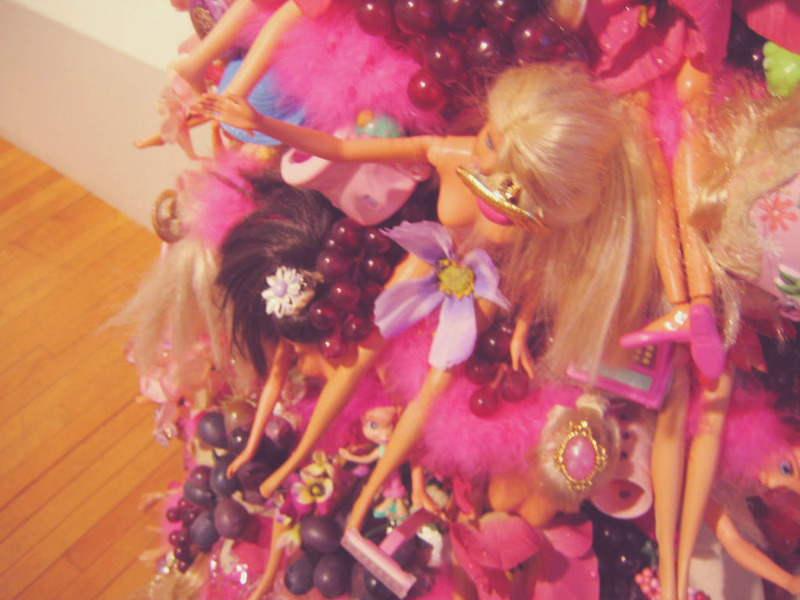 I love your Barbies' rich interior lives; what creative kids you were!